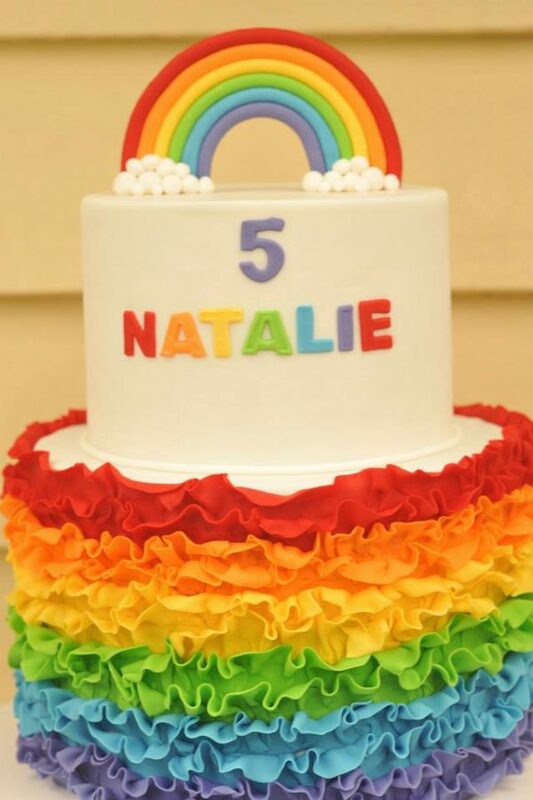 A Rainbow Themed Birthday Party is so much fun! There are so many creative things you can do for this theme and the colors alone make it bright, cheery and happy! 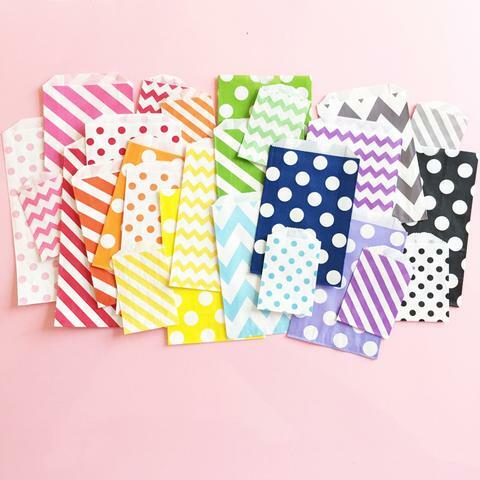 What little one wouldn’t want a fun, colorful rainbow party?! To help you start planning, here are 26 Colorful Rainbow Party Ideas that you can incorporate into your party plans! 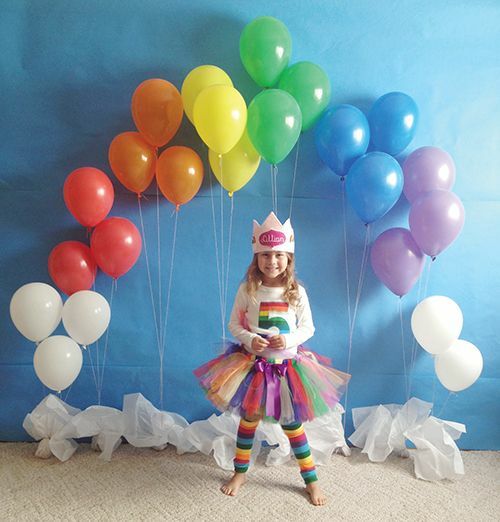 This easy Rainbow Balloon Party Decoration is perfect for a fun photo booth! 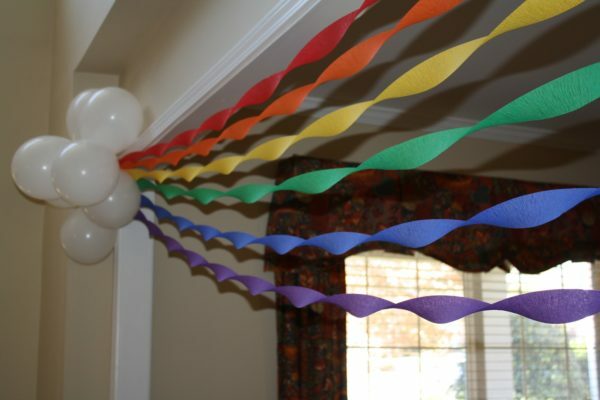 Streamers and balloons are all you need for this easy and cost-effective Rainbow Party Decoration! The kids will devour these yummy Rainbow M&M and Chocolate Chip Cookies! Add some rainbow paint and bubbles to make these Rainbow Party Favors for your child’s friends. 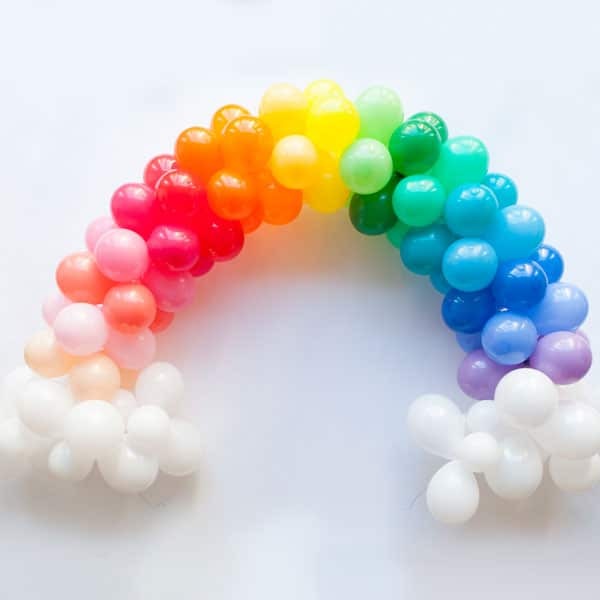 Make a Mini Rainbow Balloon Arch as the backdrop to your sweets table or gift table. 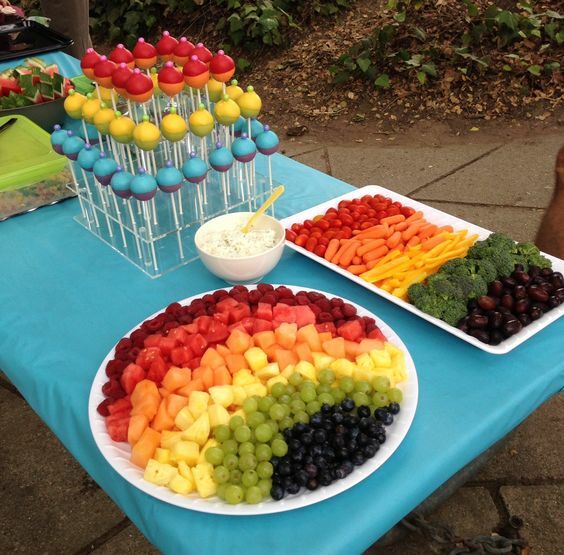 Fruits and veggies make the most perfect Rainbow Party Food! 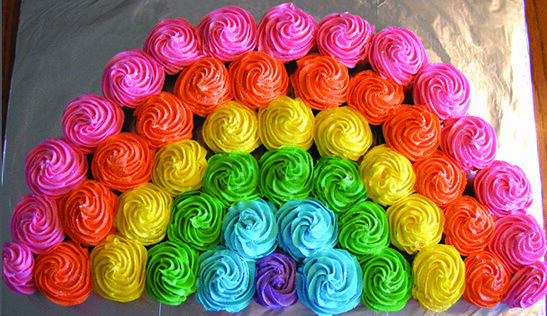 How awesome are these Rainbow Cupcakes?! 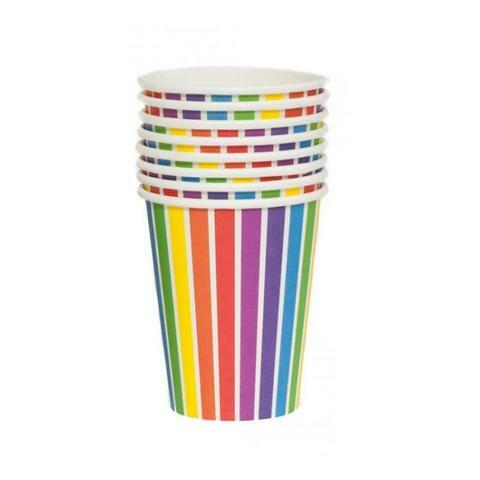 These Rainbow Cups are perfect for your rainbow theme! 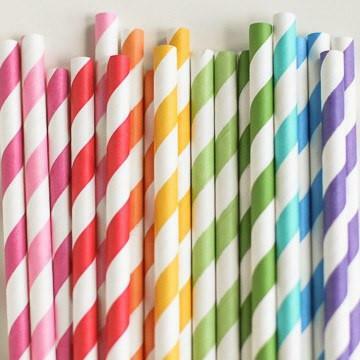 Add these Rainbow Stripe Party Straws to your party drinks to complete the rainbow theme! 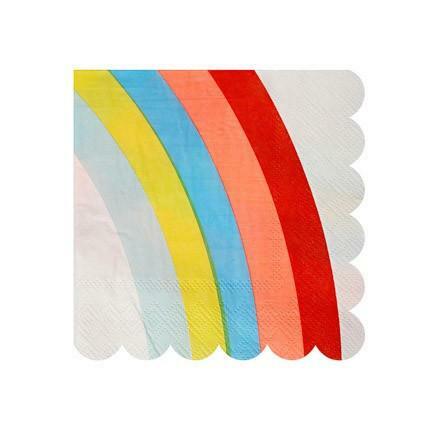 These Small Rainbow Napkins are perfect for your dessert table. 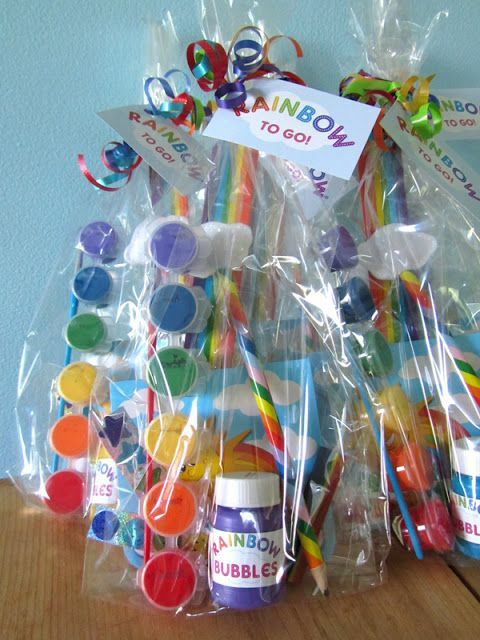 These Rainbow Favor Bags are perfect for your guest’s party favors. 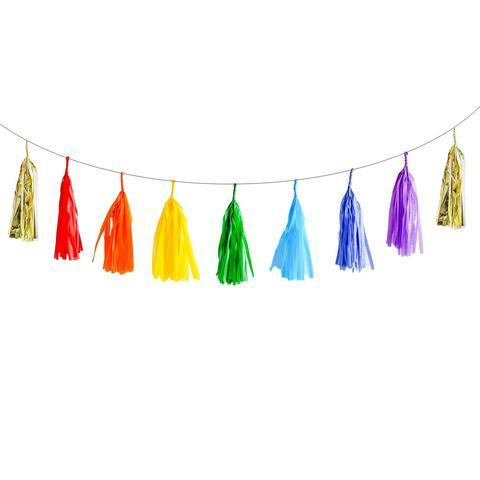 Add this Rainbow Tassel Garland to your party table! 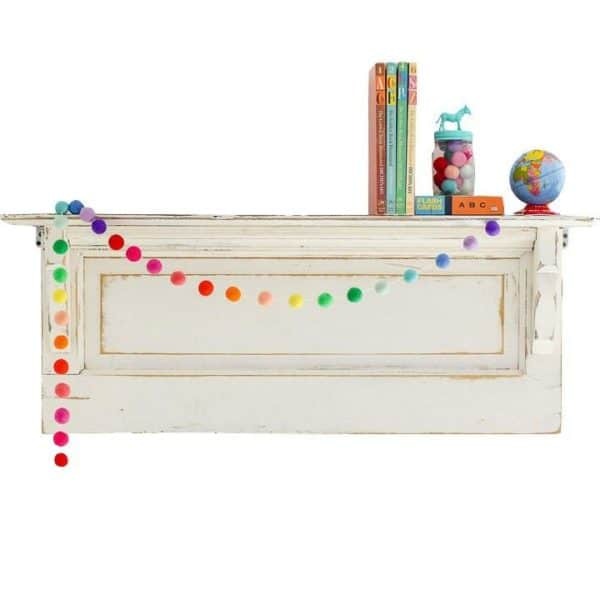 This Rainbow Felt Ball Garland is also a great decor item for your birthday party! 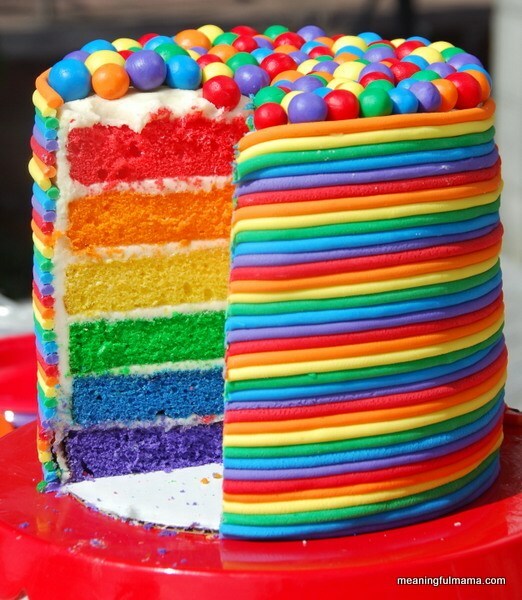 This Colorful Rainbow Birthday Cake even has a surprise inside! AWESOME! 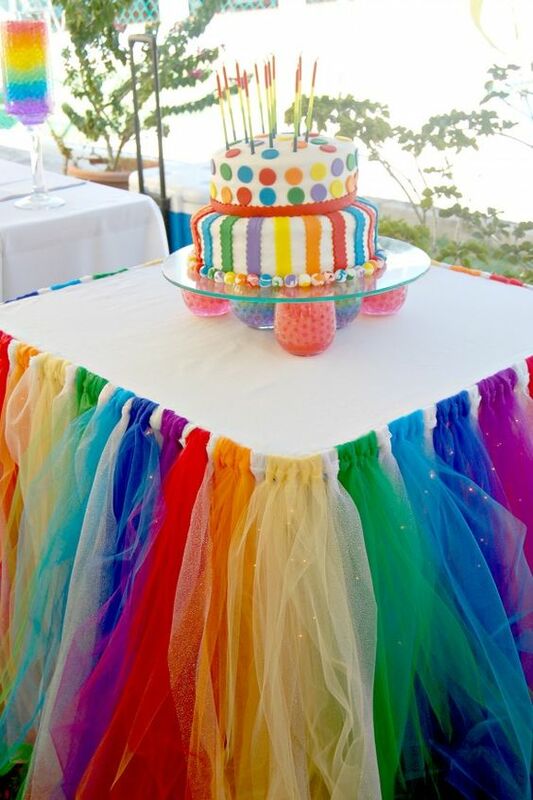 We are in LOVE with this Rainbow Table Skirt! 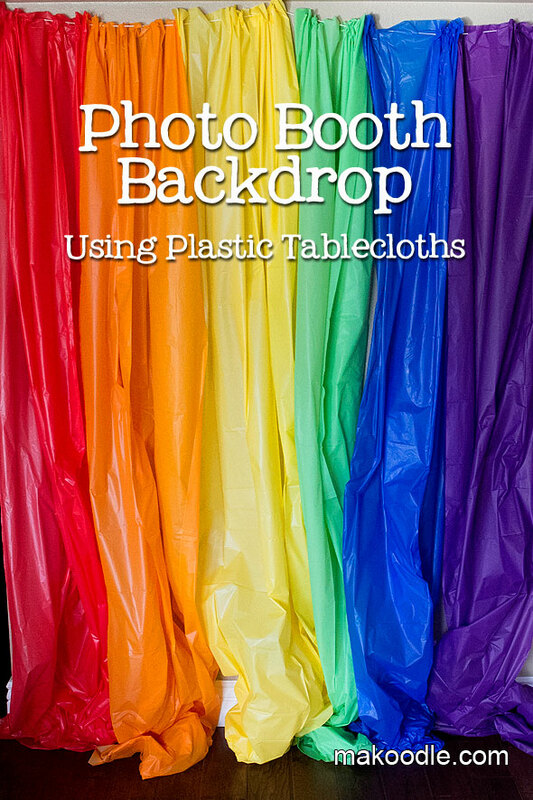 Create this easy DIY Rainbow Photo Booth Backdrop for all those birthday photo memories! 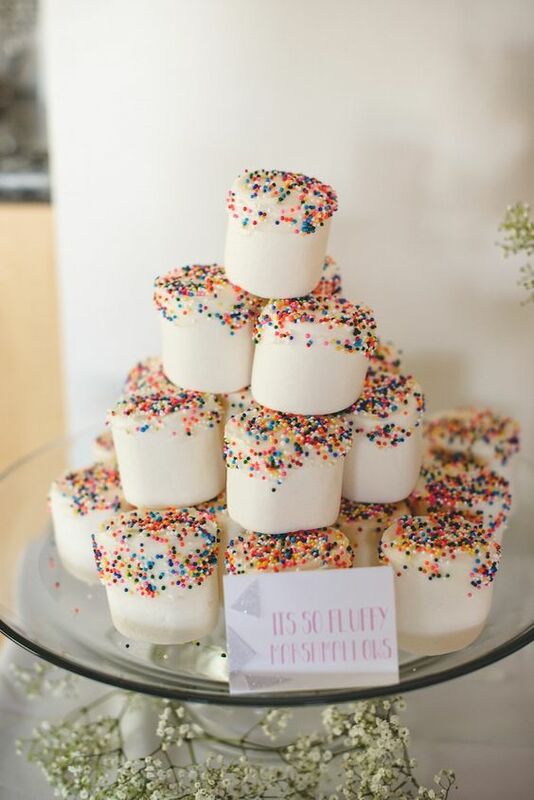 These easy Rainbow Marshmallows are perfect to add to your dessert list. 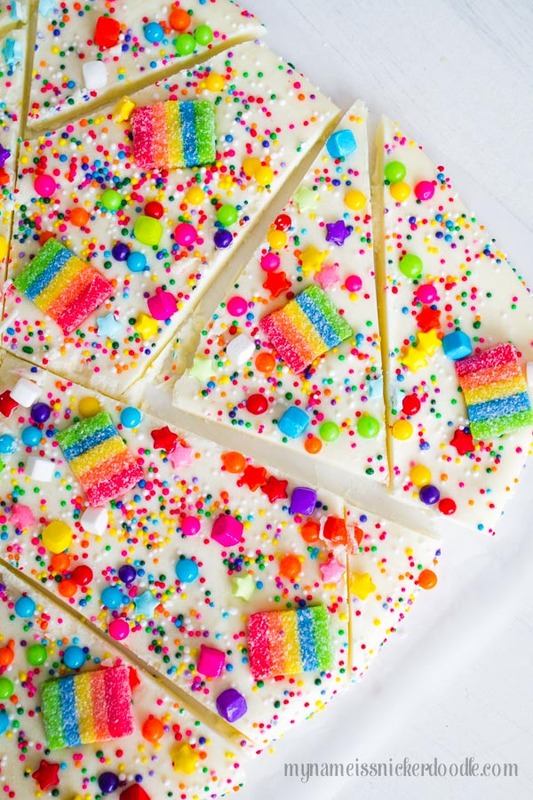 Rainbow Candy Bark is a must-have for a rainbow birthday party! 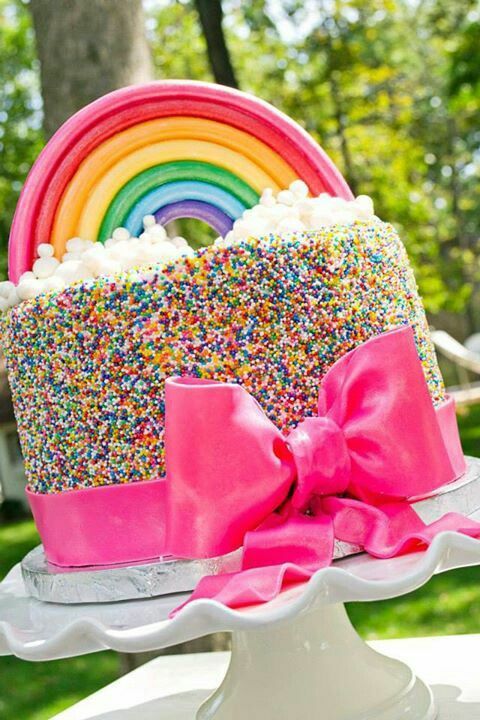 How perfect is this Over the Rainbow Party Dessert Table?! This Ruffles and Rainbows Cake would make the perfect centerpiece to your sweets table. 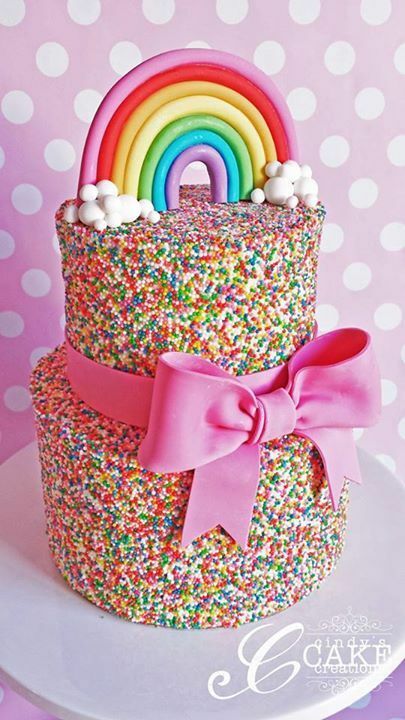 This Rainbow Sprinkles Cake would be any little girl’s dream birthday cake! 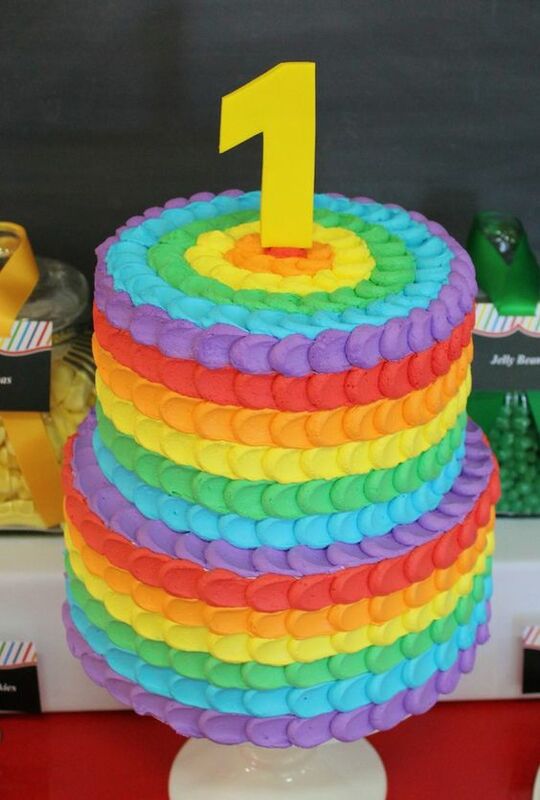 This two-tiered Rainbow Cake is another great option for this rainbow party theme. Here’s another great Rainbow Sprinkle Bow Cake with clouds on top! 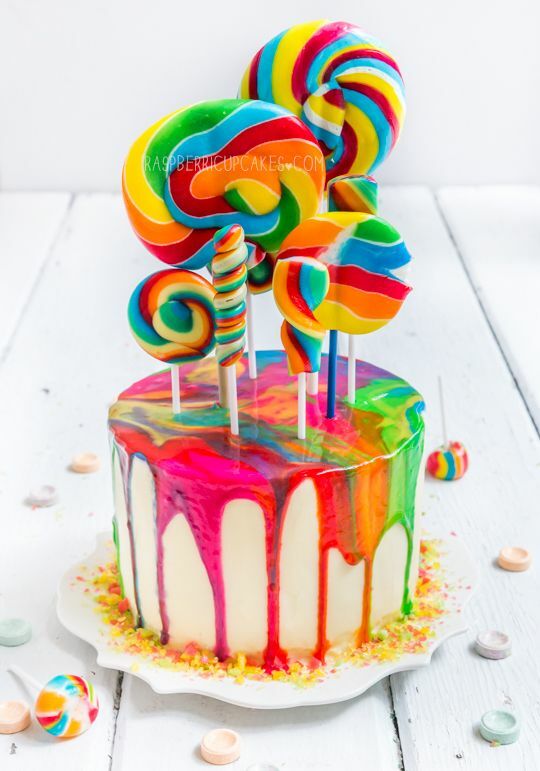 How cool is this Rainbow Swirl Lollipop Cake?! You know we LOVE this Rainbow Cupcake Cake – perfect for a kid’s party and a great alternative to a cake. 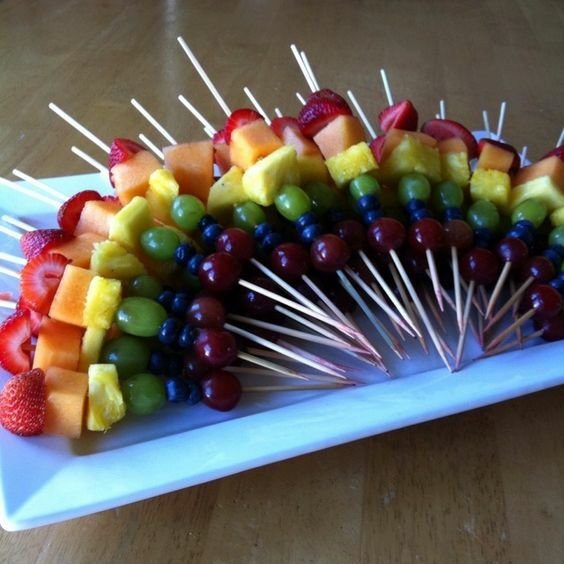 With all those birthday sweets, these Rainbow Fruit Kabobs are a great, healthy alternative. 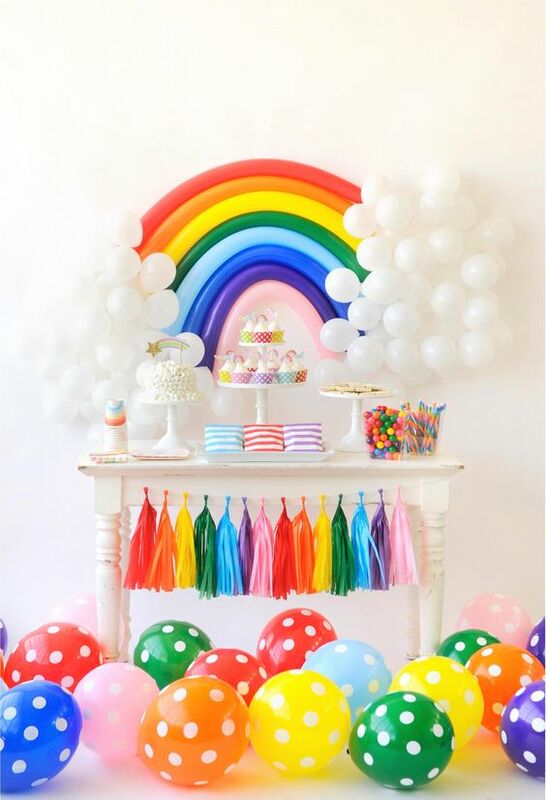 Which of these 26 Rainbow Party Ideas are your favorites? Let us know in the comments below! Any idea where I can get the rainbow tutu outfit as in pic above with leggings and #5 shirt?